Let us know what you want to see in the next version of ScreenFlow. Please look over the features that others have contributed, and VOTE on the ones you’d like to see. Or if you don’t see what you want, feel free to ADD your own in a comment. A template system would be great. Right now I record my screencasts and then have to resize and move things just right, then insert my “branding” intro and change the pointer. Only then am I ready to do the real editing of the actual screenflow I recorded. Would be a time saver if this was automated. The ability to create and save presets for callouts and actions! I use the mouse callout all the time, but I prefer to change the size, build-time, opacity, etc. It slows me down tremendously to have to re-build this every single time I want to add a callout. Please, please, add callout presets! I know this isn’t exactly what you want, but in case you didn’t know, you can copy/paste actions and callouts within and between projects. I use this feature all the time to keep my actions consistent. I would like to be able to blur out parts of the screen in a simple way, so that I can record sensitive data and then blur it while editing. Excellent suggestion, Jorgen. Thank you! Chromakey. You have it in VideoCue, so I know you can do it. Also support for Elgato’s H.264 USB-stick would be great. The ability to adjust the length of the transition in seconds (by typing in the the actual #) would be great. Allow 1/4 increments if possible. Better/easier/less-buggy cropping of videos would be my first request. Though maybe that’s coming in 2.0 already. Also would love to be able to draw lines/objects, for use with text callouts. More audio control would be great, specifically a noise/hum remover. Ability to group clips, please! A huge and fragmented video is almost impossible to handle. Will it also possible to use this with Titels like in wirecast? But let me add some detail: The shape and size of each blur overlay needs to be infinitely adjustable, and the movement of the blurred area over time should be keyframeable. Areas to be blurred can range from a column of text info on a web page, all the way to a face moving across a screen in a video a la COPS. Thanks, folks! You do great things! It would be great if screenflow remembered the last location of where you saved a file, so that you didn’t have to go through the process next to “where” when you want to export a file… It defaults to “desktop”. I’ve been asking them for this since screenflow first was released. What’s weird is that back in version 1 I asked for it, and they added it. Then when version 2 came out, it disappeared – and I complained many times; each time I was told they would look into it. And now, here we are in version 3, and they still don’t have this most basic feature. I mean, how hard cane it be to have it remember your last save location – really! Screenflow is good, but I’ve been using Camtasia a lot more lately – mostly because of Camtasia’s auto zoom feature. Oops.. I should bring that up in a new thread. All in all, I prefer Screenflow – except for these two issues. I would never use another capture utility, where it not for these. Wow, I hope this post does NOT mean that all the good suggestions made over the past year in the Forums have gone unnoticed! There have been so many good suggestions posted there. Off the top of my head I have two big requests. I never leave my audio recorded “as is.” So exporting the audio easily out of ScreenFlow would be fantastic. Currently I have to do this kind of awkward export as a PCM quicktime movie. This has several disadvantages. A simple export as AIF or WAV would do the job. The second current problem is that after I enhance my audio in some other program I can’t just drag it into Screenflow. (Well, I can, but at my own peril.) Specifically SF does not import/store the media file within a SF project. I’ve learnt to create a folder for my SF project so all the external “stuff” (audio, images) stay with my project. But sometimes it’s very easy to forget to do this. So embedding these external files would make for a much quicker and smoother workflow. Don’t worry, the Feature Requests within the Forum have not gone unnoticed! We very much appreciate the input- in whatever manner it is submitted. We created this page within the blog so that we could have an easy-to-find area, where people could make suggestions and vote on others’ suggestions (by clicking on the “thumbs up” icon). This will help us evaluate not only all the feature requests, but also the popularity of each feature request. Thanks again for your suggestions and input. 1. It would be useful to have a set of standard canvas size presets to choose from – such as web, youtube, ipod, etc. – and the ability to define a preset. Maybe also a constrain checkbox, so it keeps a 3:4 or 16:9 when you change the width or height. 2. The canvas video and imported images should scale in proportion from their corner points without the need of holding down the shift key. There is very little I intentionally scale out of proportion, so to me the current set up is not intuitive. Rachel – excellent feedback. thank you! When screencasts of our products, I don’t want to have a ScreenFlow icon in my dock during the recording or in the menu bar if possible. I want to showcase my product only in the screencast. Will that be possible in ScreenFlow 2? It’s possible now to hide the ScreenFlow icon in your dock and on the menu bar. In ScreenFlow, go to preferences, and unclick the “Show ScreenFlow options in menu bar”. This will remove it from the menu bar. To hide your dock, you can go to your Mac’s system preferences/dock and check the option that says show/hide menu dock. This will also be available in ScreenFlow 2.0 Enjoy! Right now the only thing I can think of that isn’t going to be available in 2.0 and that I would like is direct blog integration. Similar to the YouTube feature only where by a completed screencast could be posted directly to a WordPress or other such blogging platform. I think for blog demonstrations, productive reviews, tutorials etc this would be a nice addition. Another great feature would be to export in HD format (as a preset). At the moment it’s by scale% & custom, it would be kind of cool to just be able to click one option… like “export in HD format 1280×720” or True HD etc. Looking forward to your blogpost about how to use VideoCue & ScreenFlow together. Definitely, support for the Elgato H-264 USB video processor would be a great way to improve the video conversion speed on my MacBookPro. I love this product (screenflow) and it has made by Facilitator job so much easier. Support for grabbing keys from virtual machines (e.g. Parallels or VMWare). Whenever I do a Windows screencast, I am unable to have Screenflow show which buttons I push. In thread with Paul’s idea: Support for other uploading APIs than YouTube. I prefer using Vimeo, and I bet others use other video services, too. Maybe just a simple export API wherein I can *easily* implement my own Screenflow-to-*videosite*. Also, when exporting to a given site, have Screenflow know exactly which video settings are optimal for it. I really love the ability to use callouts to highlight the window i’m talking about right now but I really missed the ability to highlight a arbitrary part of the screen, say the sidebar of a window or a couple of textfields in a form. The ability to just select a area in the edit phase and blur/black out everything (like a callout) else would be really helpful compared to swiping the mouse over the area in recording phase and the use a callout on the mouse in the edit phase. I don’t know if this has already been added but the ability to join video and audio segments together after cutting out a section would be great. It gets very hardware intensive when you try to shift 15 minutes worth of video and audio a few seconds right. With all the great new features in 2.0, my wish list has certainly gotten shorter. The top item on that list now is support for green screen. Although the conventional way to do this is in post, I’d like to raise the idea of having an additional green screen capture option where the video from screen and camera are overlayed during capture (genLock style). This is in addition to post which will be better for some things. With green screen capture (based upon iChat effects? ), the presenter would have real-time feedback on the composite image enabling them to point, gesture and even walk around the scene using a remote mouse or clicker. In particular, I’d like to be able to deform the container shape while it’s in the timeline. For example, if I had a “speech” bubble like the one in the example cited above, I would be able to animate the pointy part so that it would move from item to item stretching as needed. I can do this in a static way now but the smooth animation between them is what I am wishing for. I would like to see the ability to create a highlight/spotlight box around an area of choice (the mouse shouldn’t have to be in the area to point something out), just like they do on the football replays (highlighting a player we should watch). Being able to zoom in that selected area, blur out the background…Just like we are able to spot light the mouse. Many of times I would like to show an area and I moved the mouse away from the area… I don’t want to zoom in the whole page or create a foreground zoom. But I love your product guys keep up the good work and I can’t wait to try out the new Screenflow 2. The ability to export the project to iMovie or FCP for further tweaking would be nice. I would love to be able to “Package” all of the assets that I use when I’m working on project, similar to the Adobe InDesign “Package” feature. Basically, take all of the assets that I’m using in my project and copy them all to a single folder. This way, I never have to worry about trying to locate files from an old project. (1) I can’t just create a blank screencast canvas. It seems I have to start recording, then stop the recording before I can get to the canvas. Then I have to delete the recording before I start building. Having an option at the beginning to either start recording or go to a blank canvas would be nice. (2) The default canvas color is black. I’d like to be able to change that to white or red or whatever the color needs to be. Right now, I have to import a white graphic and constantly resize it to turn the background white. I too am looking forward to using video cue and screenflow together. There are just a couple of really basic features common to almost all visual design/video software that you guys need to implement. Arrow key single pixel nudging of selected elements is one. Holding down shift to restrict element dragging to vertical, horizontal, or 45 degrees is another. Audition video & audio directly from the media bin. Right now you have to drag a video or audio clip to the timeline and play if you want to verify it is what you think it is. It would be nice to be able to double click media in the bin and have it open in a simple player. Tom: I totally agree with both your suggestions. Thanks for suggesting them. The ability to nudge media on the preview pane would be a big help to me personally. This just might be my number one request. Just let me move items around with the arrows… would be great! 1) The Media Inspector should be able to access iTunes, iPhoto and iMovie assets. 2) ScreenFlow should have a Global Bin for commonly reused elements that is available to all projects. Thus, I could use Keynore and OmniGraffle to create shapes and other elements that I want to use across many or all of my projects. Extend “Curve Types” to clip speed adjustment. Clip speed adjustment is a great feature but for many things we need a smoother transition. Sometimes, the transition to “normal” speed is too jarring. We need to have an “ambient noise” filter for audio recording at those time and in those places where we cannot control ambient noise. 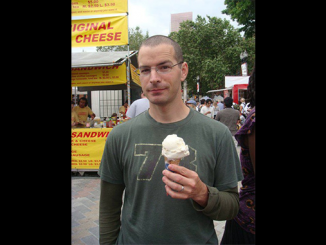 @Frank – Thanks – there have been a lot of feature requests re: audio. It’s certainly something on the radar. If you haven’t already, check out the post on Tips for Great Sounding Audio. One tip mentioned there is to add some room sound underneath your audio track to smooth it out or make it sound the same. To do this just record about 15 seconds of “room noise” before you begin your voice over, that way the room sound will ‘match’ the track with your audio. Now that version 2.0 enables transitions and that can be invoked by simply dragging the beginning of one clip over the end of another, I am even more insecure about gaps between clips going undetected and uncorrected. Snapping helps but doesn’t ‘cure’ this insecurity. Thus, I propose a “Tighten” command in the Actions menu that would operate on all contiguous selected clips reducing any gaps between those clips to zero. A transition, by definition, has no gap and, so, should not be affected. Regarding ambient noise reduction, if you have a built-in mic as with a MacBook Pro, you will find that you do have an ambient noise reduction option. Verify this by looking at your Sound preference panel. There should be a check box. The Mac Pro doesn’t have this. Please add an ability to split an audio file, similar to a video clip. This would allow users to import a track from Garageband, then split the track at key points and position as appropriate. This would be a HUGE time saver, because you wouldn’t have to worry about the timing in Garageband. The last I checked, you could only truncate the beginning or end of an audio file. So if the original had a timing issue, you had to import a second full length audio file and truncate the beginning and end of that. The ability to split an audio file is already possible in Version 2.0, by using the “Split Clip” feature. Try it out, it’s pretty nifty! Not sure if these suggestions have been posted before. But I would like a way keep some media clips stored in ScreenFlow that appear each time I start a new project. Also, it would be nice to use markers without using the popup box. I just want to be able to click say the M key and the marker appear. Despite my wishes, ScreenFlow is still an awesome program. @Bakari Thanks for the input. The idea of keeping media clips stored or handy has been mentioned, but it’s a good one. Also, regarding markers: Currently you can use the shortcut ` (backward quote) to insert a marker in your timeline. It does pop up a box that allows you to label your marker, but you can disregard that by leaving it blank and hitting enter. Hi Lynn. I find when I am working with images or video that have a dark background it’s hard to see where the video borders are. It would be great if there was a hi-light feature so that no matter what clip I am currently working on, the outside frame of the video is clearly indicated. Thanks. The ability to export a freeze frame to a PNG or other photo file would be ideal so we could edit these in a photo editing program such as pixelmator or photoshop and then reimport them. Currently I workaround this by taking a screenshot of the same image, but it would be great if we could do this directly from screenflow. That’s a good one @jhphillips. And your workaround is very clever until that becomes a feature. Ability to add Closed Captioning to videos… without using a zillion text boxes. Please could you be able to drag a box with the mouse around the call out area. Then simply add the pan in pan out length. Would make call outs a lot simpler and we could then record without having to get the mouse pointing at the right section or be limited to simple zoom with no resizing. i think it is easy to use and know it cant do everything but this has been my main issue with it so far. It is possible to copy pan and zoom settings from one clip to another IF those settings are done with a video action. However, if these same settings are applied to the clip itself (no transitions), a copy/paste does not work. This capability is highly useful and needs to be expanded to all possible cases, not just pan and zoom and not just from one video action to another. Any setting should be copy-able from any point in a clip and paste-able to any other clip(s) or appropriate action(s). I stand corrected. Thanks. The first iteration of this article didn’t differentiate between clips that have an action and those that do not. As you point out, this has been corrected by describing how its done when there is an action present and when there isn’t. It now seems clear to me that we need a way to capture Apple iPag goings on with ScreenFlow. This may be as simple as piping output from iPad to desktop or laptop Mac. The simulator that Apple offers for iPhone and iPad will not suffice. Curious as I have not tried it – why does the simulator for the iPad not suffice? The iPhone and, now, the iPad simulator require that you have the source code in order to simulate a specific application. This is fine for the app developer but not for those developing training materials outside the developers’ shop. Moreover, the default Apple apps are not all represented so general training across those is simply not possible at all. What I have wound up doing is jailbreaking an iPod touch so that I can use an app called ScreenSplitr which is not available in the Apple App Store. This is a great app for all but video because the frame rate is too low for that. Apple has not yet arrived at the understanding that being able to screencast all aspects of a product is a major source of very effective free advertising. sliders & Rulers would be great, in order to position objects on screencast at the same position. Support of alpha layer for quicktime movies. I’ve produced a quicktime movie in order to create an animated logo watermark on top of screencast but Screenflow does not support Quicktime movies with alpha layer…the background is always black. Could you fix this ASAP please ? Batch Export and or Apple Script support for the same reason. That is: We have people recording 300+ screenflow documents that we later have to export to some format to go into Squeeze, that is not fun when you have to export them manually one by one. I have no preference what option it is – I have the knowledge to get the workflow up and running with any of them! Thanks Fredrik, this has been put on the list. In post processing I often want a cursor effect such as a “spotlight” in places where I did not have the foresight to place my cursor, or hold it there for the right amount of time or keep it steady enough. These might be called independent cursor effects or pseudo cursor effects. While we’re at it, why be limited to just one? So let’s have the possibility of being able to place one or more cursor effects independently of the actual cursor position, motion, etc. On the subject of cursors – I’d love to be able to smoothen cursor movements! Hi Howard, can you elaborate a little on what you mean by “smooth cursor movements”? I think that my suggestions about “animation on a path” and “choreographing the cursor” in post are really so similar that they should be considered as one. Establishing a new path for the cursor or establishing a path for animating an image with alpha channel should be done with tools similar to tools found in Illustrator, especially those that have to do with Bezier curves. Tools like this would enable smoother motion of cursors and other things that appear to move. Completely different but having a similar effect would be a function that re-calculates the actual path of the cursor and applies a “curve-fitting” algorithm to it as some math and statistics software does to certain graphs. Animation on a path. I can simulate this with multiple video effects, one for each direction but this is tedious and never as sooth as genuine animation along a path. Re-recording video with audio as a guide. I made a mistake early on in the “live” recording of a 36 minute long Keynote presentation. On the second slide, I hit the audio just right but missed the first three builds. I was able to recover before I got to slide three and everything went smoothly after that. Did I mention the fact that this was live? Had I messed up on the audio, I could use ScreenFlow to re-record the audio using the video to get the timing right. However, that’s not what happened. AFAIK, one cannot record a video segment using the audio as a guide in “Add Recording” so, unless I am mistaken about that, this is a request to add such a feature. Couldn’t you open your ScreenFlow document, and your Keynote, then hit record in ScreenFlow, hit play in ScreenFlow, so you can hear the audio, then go quickly to your Keynote and go through the presentation, following along with the audio from ScreenFlow? Then, when you stop recording, choose to “add to” your existing ScreenFlow document, and you’ve got new video that follows along with your audio. Admittedly, it would take some coordination to get them all started at the same time. So, I would temporarily move my ScreenFlow audio on the timeline so that it didn’t start until about 10 seconds after I hit play. That would give me time to go to Keynote, and play the slide presentation, and then wait for the audio so I could advance the slides & builds with the audio. First, I selected everything in the timeline and moved it forward by one minute. That bought me the time I needed. Second, I started ScreenFlow playback and then switched to Keynote with cursor at the ready to click Play. Third, I watched the playhead in ScreenFlow until it got close to the one minute mark then clicked Play in Keynote. Fourth, I listened for the audio and flipped the Keynote slides correctly this time out. I recorded just a little bit more than I thought necessary — just in case. Lastly, I put the new recording in the timeline above the original material, moved the original material to zero seconds from one minute and did a small amount of adjusting so that the repair was seamless. Note tat I did not discard any of the original recording from the timeline. This was insurance against having to start over. P.S. As I did this, I realized that this technique might also be useful in using the iMovie “green screen” technique described elsewhere in the screening room. Get the narrator video and audio first and then add the slideshow in a subsequent step synching it to the audio. great! glad to hear that worked. Guys what would be very cool is to make an iphone app that utilizes the tilt and zoom features of screenflow. This would stun people for live demonstrations on the fly. Possibility to move playhead for a specific number of frames. Overall i find that the playhead is not very precise. we need a library of preset effects. When setting parameters for an effect (shadow, opacity etc.) let us save the effect preset in a library in order to drag and drop it on a new screencasts. For the same screencast we can copy/paste, but for different screencasts we are forced to repeat the same steps of parameters again and again (we have to be consistent between our different screencasts). As someone asked for Core image integration, would it be possible to use Quartz Composer to create new effects scripts for Screenflow? Sorry for posting so much requests but we’ve entered massive production of screencasts for a big project and ideas come everyday. when inserting videos or media in the screencast we need to be able to crop the inserted media by an amount of pixels for right,left, top and bottom independently. What would be gorgeous would be to be able to set a viewable size for a media on stage and be able to pan the media in that zone in order to keep just a part of it. For example : you have a 1024×768 pix picture but you only need to show just a part of it like a square of 250 px. You put the full media on stage, set an onstage viewable size of 250x250px. then you place the square in your screencast at the position you like. And then by holding command +click and moving the mouse you move the full picture inside the viewable screencast size to select the part you want to show (this solution would replace the above one as it’s far more effective). We also need to add borders to a media on stage and set size of the border + color. Export to FLV option…. Please. Although this doesn’t replace the need for an FLV export, there is a work-around that may work for you or others, depending on your specific situation & player. Flash Player 9 automatically knows if a video is h.264…even if it was created in a format other than Flash. That means you can create a QuickTime movie, rename the file extension from .mov to .flv and the video will play fine as a Flash file. This is especially useful to know since many of the best options for creating h.264 files will only create videos in the QuickTime format (files with a .mov or .mp4 extension). In our tests, we have successfully renamed the ScreenFlow file extensions from .MOV to .FLV to use in Flash video players. In general, it should work with any player that can play H.264 files, but do your own testing with your player. However, you do not necessarily have to rename the file “FLV” to play in the Flash Player 9. Basically, if you have a player that can play h.264 files, we have found it doesn’t seem to matter (generally) what the extension is, since the “internal workings” are the same. Again, not a solution, but hopefully a helpful workaround. Adobe Flash is officially extension agnostic when it comes to H.264. .mov, .mp4, .f4v, and several other extensions all work equally well. Adobe engineers have recommended not changing the extension especially to .flv as the file metadata is different and may, therefore, not work at some point in the future. Note that H.264 .mov will also work in Silverlight which is also extension agnostic with regards to H.264. Thanks for the clarification and correction, Craig. The ability to add Markers, real-time, while recording would be really great – pressing CMD + ~ could pop open a window to enter a Marker. Currently, Markers can only be added after recording. Note: the pop up would have to be ignored by ScreenFlow as to not mess up or appear in the recording. Perhaps you could type the marker in the menu bar. Silverback has a decent solution for this feature – markers are inserted real-time using an Apple remote. Remotes used to come with every Mac, but not anymore. Perhaps an iPhone App could handle this? Still not ideal though. What Silverback did was ok, it lets you put a marker in, but it does not allow for a marker title. This means I would still have to go back, listen, and enter a title…but it would be a bit faster. This is a tough challenge, but one that would save us all A LOT OF TIME not having to go back, listen to entire recordings, and then add markers. Pro Tip: Currently, as I record sessions in ScreenFlow, I write down when I press record (e.g. 1:14:45 PM) and then, every time I know I will need a marker in the future, I write down the time the significant item occurred (e.g. 1:18:15 PM). This hand-written approach, while cumbersome, works very well for me – all I have to do is scrub ahead a few minutes:seconds (e.g. 0:03:30), press ⌘ ~, and enter the title based on my hand-written notes. Silverback’s currently hobbled in that v2 doesn’t support the iSight cameras in the latest Macbook series. So we’re using Screenflow + Hippo Remote (which allows remote pausing / restarting). But we really miss the ability to put in a marker when each task starts. Now that we can detach audio, it is possible to tweak that audio with specialized audio software and then bring the improved audio back into the project and onto the timeline. Let’s call this ’round-trip audio tweaking.’ However, we don’t yet have a straightforward way to export a single audio track or track element (if splits have been made). What I have been doing is this: Using the standard Export option, I deselect video. The .mov output then becomes input for third party audio software. Then, after massaging it, I bring it back in to the project via “Add Media” in the SF Media Library. The problem with this is when there are more than one video track. The SF Export routine mixes them all down into one track. This can make it impossible to improve bad audio without messing-up good audio. My workaround is to mute all audio tracks except the one I am interested in refining. Still, I worry because the mixdown process is including or trying to include a muted track. So, what I propose is that ScreenFlow have a special Export function that allows us to select a single audio track or even a sample of that track where splitting defines a track sample. Precise positioning! When moving/panning/zooming, positioning with x/y coördinates so you can easily move something back to the original position. Case in point: when recording a screencast, I have an overlay of my company logo just above the OS X dock. When I zoom in, I need to move it slightly up. And when I zoom back out, it has to be moved back up to the same original position. HI Guy, You’re not missing anything. This is a valid, and oft-requested feature. Thanks for weighing in. The ability to bulk export videos would be awesome. I typically record 4 or 5 videos at a time and then I need to export them all to MP4s. The process of manually doing this is very tedious. Now that we have “Publish to Flash” we ought to start thinking about “Publish to QuickTime” and “Publish to MPEG-4.” Indeed, all of these plus “Publish to YouTube” could be in the same submenu. Of course ScreenFlow users are, by definition, MacOS X 10.5 and 10.6 users. Those in the 10.6 camp have free access to QuickTime X which has a nifty feature called “Save for Web …” which creates a folder containing all of the files needed to present 1-3 auto-selected, bandwith/device-optimized versions of a video on a web site. This is a very sophisticated approach that depends upon externally (Apple) hosted *.js files and works best on Safari. Perhaps the ScreenFlow version should be simpler but the key thing with QuickTime and MPEG-4 is they they provide access to mobile devices where Flash isn’t present. The ability to save Export settings. I am using the X264 encoder and every time I export another video, I have to go back in and redo the settings. We have this ability on our Xerox printers to save presets and name them. It would be great if somehow, ScreenFlow had that ability as well. Thanks! Thanks for the input – and yes, having the ability to save export settings would be highly valuable. It’s on the list. In the meantime, if you tend to always use the same setting, you can save that setting as your default. To do this, go to export and customize your setting as you want it. Then, on the preset dropdown from the main export page, select “Make settings default”. This will make those customized settings your default settings every time you go to export. My 10 thumbs would like auto spell checking in the text boxes. Maybe it’s already there but I haven’t seen how to activate it. Also would like a progress bar for the icon in the dock. Then while hiding Screenflow in the background wile exporting, a quick glance at the dock would let me know if its done yet. Screenflow is that good, that I take only this to cut my vids. But, when I need to reorder tracks, because one layer should come above another one, it makes crazy moving everything around. It would be helpful, if I could add a track above all other tracks instead of to the bottom. Yes, that’s a good request Markus, thanks. Exporting usually takes some longer time. Would be nice to have an estimating timer. – Links. Link text captions (extra credit — any object!) to markers within the video, or URLs. – Closed captioning. Enabled in such a way that the viewer can switch it off and on. I would love to be able to lock (& unlock) tracks so all the bits stay together and unchanged when I do other editing. I would also dearly love an easier way to create templates for a video series – eg opening and closing credits, transitions etc that could be stored as templates in a media library. Eagerly awaiting a great product getting even better. Thanks. This is a little redundant of a previous suggestion but I have a slightly different take on it now. In post-capture editing, I should be able to ignore the path of the cursor as recorded and replace it with a path of my own design. Alternatively, ScreenFlow could show me the path and let me modify it. This would introduce “animation on a path” to SF and be a great compliment to cursor replacement. Speaking of cursor replacement, why not have multi-state cursors. By multi-state I mean that the cursor appearance would be different on mousedown than on mouseup. That sort of thing. This could be woven into and strengthen Click Effect. Drag and drop media assets from Keynote or OmniGraffle or via the clip board. I like to make text containers that are a bit more expressive than what is possible in SF. However, doing so is more tedious than I think it needs to be. In Keynote for example, I create a shape and customize it with gradient fills, text, transparency, etc. I then “group” all elements and copy to the clipboard. Next, I use Graphic Converter to create an image from the clipboard, save it and then drag it into SF. What I think would be better is to be able to select the object in Keynote and then drag it into the SF Media library or, failing that, select the object, copy it to the clipboard and then switch to SF and copy it from the clipboard. It would be important to be able to maintain alpha channels using a 32 bit PNG format. Tweening (sometimes called morphing). I’ve tried to animate things such as a speech/comment bubble that points to various screen locations but it’s a lot or work. If SF supported tweening, the effort required would drop dramatically and the effect would be impressive and eye catching. The way tweening is usually implemented is that you select the first and second objects and the computer figures out all of the in-between frames required to create a smooth animation from the first state to the second. More advanced would be to be able to select a sequence of more than two objects. To illustrate what I’m driving at is this poor attempt at animation that I did as an experiment. Note how un-smooth the very small amount of movement is. Good suggestions. These will be added to our long and growing list of feature requests. If you watch these with a screencaster’s eye as I’m sure folks here will, you’ll notice the close-up view of the reception bars. This is the only way they could show the “death grip” and its effect on recrpyion as indicated by the tiny bar graph that most phones use these days. That close-up was done in a circle, not a square and this is what brings me to this feature request. I would very much like to be able to apply a video mask to the video that Screenflow captures from my camera. I should be able to mask that video so that only a circle, oval or some other shape or shapes reveal the video underneath. The screen beneath the masked out areas shines through of course. I believe that you can still do this in QuickTime Player Pro 7.6 using a 1-bit mask created in Photoshop or another graphics app. Thus, it should not be terribly difficult to implement this in a more user friendly way in Screenflow. I would love to be able to batch export from screenflow. Using automator would probably be the cheapest/easiest solution i think. Would be great to see a Dip or Fade to Color transition that would allow one to choose which color to fade through, like in Keynote. I’m personally working with off-white slides and the dip to white transition doesn’t do well. We need the ability to lock audio sections with the corresponding footage. This would be very helpful! Would be nice to have a pan tool. I find that I often need to look at something closely and zoom up to take a look, but I am restricted to viewing the center of the project. In order to view other sections I have to move the actual footage in relation to the canvas. Constraining movement. Unless I’m missing a feature, I don’t think that there is a way to constrain movement vertically and horizontally. The convention in other apps is to hold down the shift key and then click to drag. With this feature in force the element being moved is constrained to vertical or horizontal. This should also work with the arrow keys for very fine movement, one pixel at a time. The suggestion above: mask and highlight any area. Crop is buggy. When you crop to small sizes the result gets scaled a bit introducing blur. thanks Mattias. all good suggestions. Export to HTML5 format(s) which would include the video and the accompanying HTML and player? Similar to what you do today with the flash option. I would love to be able to mask a clip to see what is below….. currently I am having to crop a clip, export it as a mov and then re-import it, and it is a real drag to do. Could you explain a little more about what you mean? I’m not sure I understand what you’re trying to do. It would be great if actions were independent of position – scale and opacity separate from position. I love to copy and paste animated arrows and other callouts and then reposition them to point to a new location, but as it is you have to throw away the pre-existing animation. Perhaps it could work a bit more like Keynote’s “build-in” and “build-out” actions – fades, zoom-blurs, etc., that travel with the object and then position is separate. The same “Build-in” “Build-out” behaviors would be phenomenal in text boxes. I am in the middle of a series of 40 tutorials that are up to several minutes each and the ability to re-use pre-built elements would have been SO helpful. All in all, though, THANK YOU for a wonderful, consistent and well-behaving program that has made my life a TON easier. Please apply the Curve Type function to timeline segments that have been sped up or slowed down. There should be a way to effect a smooth transition instead of the current abrupt cut from real time to modified time and vice-versa. In post-processing, it should be possible to capture a portion of a window from a single frame placing that into the Media Library without having to use another application. This is useful in calling out a portion of a window, a web page for example, to enlarge it for greater readability while retaining the context of where it came from. Frosting on the cake: Effects that could be used to show where that enlarged or hilighted image came from. You see this in print all the time. For example, a small circle around the text to be magnified and that circle magnified with lines connecting the two circles a la the Batman searchlight. Ditto for squares and circles. Yes. Being able to freeze a frame as a PNG or something like that that isn’t volatile. Currently if you split a freeze frame or slide the wrong end of it, it jumps in time. If you could just spit out a still and mask or crop it, perfect. Just to clarify, we are already able to callout the frontmost window and that is a good thing but limited to whatever window has focus. As well, one must work with that entire window. We need to be able to call out an arbitrary area of the screen in post regardless of what window had focus at capture time. I would like to see a way to use Handbrake for Exporting videos. It’s much faster than QuickTime and has better quality. I’d like to see a time panel that shows me minutes/seconds. I find the existing time markings way too small to be useful for precise placement, as well as determining video length (similar to Garageband). It would be really useful for those who use the program intensively to be able to set a default export or save location. As of now it saves to the Desktop, when exporting files and comparing quality, etc., I tend to save to the Desktop instead of taking the time to choose a folder. Would be great to have the option of creating a Screenflow Export folder and having the program export to it. That way at the end of the day I could easily sort through what needs to be kept and what needs to be thrown out, without having to worry about cleaning up my desktop for my screencast. Mouse shortcut = scroll wheel zoom in and out of timeline. Import option to open any video audio file into Screenflow. Instead of needing to record a short piece delete it and do an add media. Thank you for creating such a great community for us Screenflowers…:) This is such a great resource! thanks for your input Paal! Do you have specific photo filters you’d like to see? In working with Screenflow the last couple of weeks, especially on existing screencasts that need to be modified, I have found several things that are annoying. 1) It has been said before, but some form of library for specific callouts and actions. For example, my callouts have a specific size border, color, fade. Certain elements zoom in a specific amount. Yes, I can copy and paste, but the issue is when you have an hour long tutorial, the last place you used a callout is sometimes hard to find. 2) The ability to make a group out of a couple of videotracks, so they can be moved as a whole. INCLUDING chapter markers would be a nice extra. 3) The ability to easily add time between existing movies, so as to add a new recording inbetween. This is VERY tedious at the moment! Thanks Guy, all good suggestions. noted. I can see this being implemented as a “widgets” bin that is available to all ScreenFlow projects on a drag and drop basis. Ah yes, and the ability to name and save your own export presets! Again, a really great product and company. 1. It would be really great to see something like the “Queue” feature in Handbrake. This has saved me tons of time. I can set the program to export a series of video tutorials for Desktop, iPhone, and iPad overnight. This would be a huge step for Screenflow. 2. Would love to see a new interface for creating transitions. This is pretty time consuming in Screenflow since adjusting one transition often requires moving other sections of the footage. I use this very frequently for my screencasts. For example, approach this URL with a computer and then an iOS device via WiFi and then Cel: http://hercules.gcsu.edu/~flowney/screencasts/Rock_Eagle_2010/index.html to see the difference. I’m OK with the two-step process I use now but it would be great if Screenflow reduced that to one step with the queued process described here. Great point. Having an Export for Web… feature similar to the one in QuickTime would be the cherry on the ice cream for me. Most of my videos are not embedded, but when I do create them they are a real pain since QuickTime gives you absolutely no control over quality and export settings. I typically get a ridiculous file size. Could we see that in the next major release of ScreenFlow? This was posted in another topic, so pardon the repost…just want to make sure it’s captured in the right place. :: the ability to replace elements in the timeline, keeping transitions, effects, and parameters (similar to “relink” in Illustrator). This way, if I replace a static image, I don’t need to delete the old one, add the new one, stretch it out along the timeline, re-add the video action, rotation, and transparency, etc. :: “Insert Space” — if I want to add a section in the middle of my video, I need to select all the clips & elements after my break point, drag them to the right, add my new stuff, select everything I moved, and drag back (at least I don’t know of another way). Being able to insert a space of defined length would be quite awesome. ScreenFlow could be transformed if it gained the ability to transmit the live recordings to another Mac (via wifi / ethernet). This would make it possible to use it for professional Usability Testing where the project sponsors and designers are usually in a room next door to observe. It would be key to transmit not only the screen capture but the webcam and audio too. If you brought this capability to the Mac you would make a lot of Usability folk happy, currently they have to look at PC based software like Morae – which is way too expensive for many of them. If you could add this functionality to ScreenFlow it would be amazing in a giant killing kind of way. If you needed to sell this functionality as a sister ScreenFlow-RemoteViewer product for the same price as ScreenFlow (so that the combined total cost was no more than x2 ScreenFlow’s current price) I still think you could turn the current market upside down. Please enable Usability Testers and UX Designers use their Macs even more! That is a great suggestion… And we do have that technology already present in one of our other products, Wirecast, so it may not be such a stretch…. Wirecast is live streaming production software that has a “desktop presenter” application embedded in it. 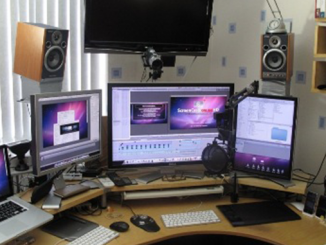 Wirecast is generally used to broadcast a live show to your own streaming servers or to free servers such as Ustream or justin.tv. As part of that show, you can have switch between multiple cameras, add titles, etc. Wirecast allows one (or several) of those live camera shots to be your computer desktop (or anyone else’s computer desktop on your network, if they are also running Desktop Presenter). In your case, you wouldn’t need to stream anything. If you have Wirecast (with desktop presenter) on one computer, and Desktop presenter on another computer, your first computer can see/display the desktop of the other computer (as long as it’s on the same network). Wirecast costs $449. But you can download a trial for free and test it out. Ustream also has a free application called Ustream Producer, which is also created by us and is essentially a slimmed down, custom branded version of Wirecast. It is free, however to use it I *believe* you’d need a Ustream channel which would broadcast it to the web… If you don’t mind that, you could test that out as well. This would not be as elegant or simple as your suggestion, but it may be a doable workaround for the time being. I’d love to hear if any of this works for you. Certainly there is a place for realtime usability analyses but in my limited experience, being able to record subjects interacting with computer-based learning services or business process software and then reviewing that recording, sometimes frame-by-frame, is more productive. Wirecast supports more than one camera so it is possible to record multiple events simultaneously and synchronously. For example, you could have one camera focused on the keyboard and mouse/trackball/trackpad, another camera focused on the subject’s face (close-up) and a third camera to capture overall body language. This could be used as input to Screenflow but I think that it would be better for Screenflow to also support multi-camera input. Screenflow support for more than one camera input would be very useful for other tasks as well. Consider a screencast that includes a demonstration such as might be used in a chemistry class. The screen shows a 3D representation of molecular structure and how it changes with the introduction of heat, a catalyst or something else while a second camera captures a wide shot of the professor speaking (branding may be key to participation) and a third camera captures a closeup of the teaching assistant performing the actual experiment. Post-processing in Screenflow can choreograph these events enlarging or diminishing each input to the best educational effect. The ability to do a “mixdown” would be hugely helpful. I do screencasts in multiple sessions (each session gets multiple edits), then I edit them together later. I end up with a monstrosity of a project, with a huge number of clips. It would be great to be able to edit a session, then do a “mixdown” where it saves it all in one ScreenCast-native file, so I can easily insert it into a larger project with just one icon, or one bar in the timeline. Another helpful technique, similar to a mixdown, is to tie clips together vertically, so that if I grab a clip and drag it sideways (for example, after cutting out a few seconds of footage) the tied-together clips move as one unit. ScreenCast is such a fantastic product, keep up the good work! Thanks Charles, I like the mixdown idea. Would it work if you were to export your multiple smaller screencasts into .mov files, then bring those into your big, combined project? This would reduce the number of little clips & things to keep track of. Once you got one of your smaller sessions edited and finalized, just export that and import it as a media file into your other ScreenFlow project. Oops, I kept calling your product “ScreenCast” instead of “ScreenFlow” 🙂 sorry! no problem 🙂 We know what you meant. When working on a longer project I think it would be handy to have a mix down feature for sections of a workflow that are complete. I find when I have to go back in and edit a track near the beginning, moving the subsequent tracks and edits down the timeline, even if nudging is troublesome to impossible, and often cause crashing. I would also like to see some advanced font/text effects as well as .mov files that can be transformed/persepective on a screenflow track. thanks marty. all good ideas. One question, Marty: We’ve had lots of requests for a ‘grouping’ feature, which would allow you to group clips together so that when you move one, you’d move the whole group. Is this what you mean by a “mix down feature?” Or, would this accomplish what you’re trying to accomplish with the ‘mix down feature”? “Grouping” seems to slow SF down and make it more prone to crashing. Currently I can select a number of clips on multiple tracks, but if the number of clips is more than a few, trying to move them all together is just asking for problems. When I say “mix down” think Garage band or Photoshop where many layers become one layer. In screenflow that would obviously mean mixing down to single frame rate, audio rate and track. I know my SF projects are often bigger and more complex than most screencasts, but if SF is to become a full movie editor, this issue will need to be addressed. “mix down: great idea, but should have window prompt to “save as” new file or not. Please release on the Mac App Store! 🙂 we’re looking into it. You may want to hurry up; Camtasia is taking a huge number of your potential customers. It’s been steadily rising in the paid video apps category, and it’s the same price as ScreenFlow. I’m not going to buy ScreenFlow until it’s on the Mac App Store, because I don’t want to deal with two separate purchase models. If ScreenFlow and Camtasia were sold side by side, I’d guess that most people would pick ScreenFlow. I’ve tried Camtasia and it’s really not as powerful. Thank you very much for putting ScreenFlow on the Mac App Store! REFRESH TO THE “CALL-OUTS” SECTION: Perhaps more animated type callouts or open it up to developers to create plug-ins. Would love to see more customization to a variety of different call-outs. It would be great if you can take cues from “Adobe Lightroom 3” development module. Perhaps open it up to plug-ins for developers. BATCH PROCESSING: I think this is a pretty popular request. 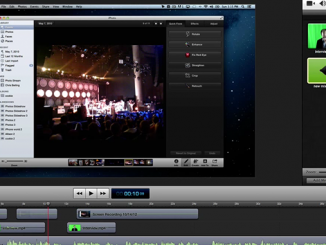 FINAL CUT PRO INTEGRATION: I merge live video with screen captures, and the seamless integration would be wonderful. EXPORT: Ability to save custom export presets. TIMELINE/CALLOUTS: Ability to duplicate an existing “Callout” on the timeline. Also the ability to color code callouts. Already mentioned at least once above, but the ability to “nudge” a selected item up/down/left/right with the arrow keys would be very welcome. The ability to export to MP3 (along the lines of how Audacity does it I suppose) would also be great. Thanks for asking. Would love both blurring to obscure confidential info like passwords, user name etc and annotating ability. Both solid elements of functionality within Camtasia….would make Screenflow perfect for me. Thanks Kevin. That is an oft-requested feature that we think is very important also. I really enjoy ScreenFlow. Really. Similar to a text area I can drag the effects area around on the timeline, to another layer, size, change the duration, change the opacity etc. The usual things. Having the effects area active I move the mouse over the video image to where I can to create an effect. Since I picked a brush and it’s size, the mouse changes to a round cursor showing the size of the brush. I pick an area to where I want to create the effect and begin to paint. Noticing that the layer below changes to reflect that I have removed the color information of the selected area. Effect layers can create a lot of interesting possibilities! This can be a lot of fun! I wish I could schedule recordings via the floating ‘Configure Recording…’ window. Since several years I record pretty much anything with Screen Flow. Hundreds of tutorials. Even I really like ScreenFlow, I can’t hide my wish to have some extras. If you think that is useful and not hard to implement, I would appreciate it. So thanks for the great product. I think of a folder that contains the data and reads up to ten files as an pulldown menu. The option to select any number of ScreenFlow files and render them with one setting at once – without open them individually. Maybe as standalone application. List all the files, and an option to change the name and location there. Same idea, but additional, a second compression setting to have a full res and a web res compression in one session. The option to have a preview app, to get an small little preview, maybe every minute an image, or the option to set for each file a preview time. Time-slider CMD click set preview. this could be in the “”Render List””, same standalone, but the option to open from there single projects. Water-mark, you pick a ‘png’ or any simple format that can contain an alpha channel, set up the size and position once, and it will be there each time you start a new screen-cast. The option to load an noise (finger print) plug in. Take a noise print and go, iZotope for example. Save for example an opener clip (title sequences) with Video Actions. OR: Allow the load of a Screen Flow document as sub-composite file so any change that is done to this ScreenFlow file, will show the changes in any other Screen Flow project files where it is placed. Thank you Dr. Sassi, for the thorough and well-thought out list. ScreenFlow has the option to add mouse click effects, both visual and audible. But why the heck are keystroke effects only available as visual? The option to make a keystroke audible too is badly needed. feature request: send screenflow file directly to episode for export (instead of exporting and mov from screenflow). This lets episode running on a desktop/server do the heavy lifting of processing as opposed to the laptop running screenflow. This would be ideal for a team running usability studies on laptops and allow for faster turnaround of the videos. When publishing to Flash, the HTML code generated by Screenflow is great. But one additional parameter I think would make it even better: an option to “autoplay” or “autostart” the flash video in the browser so the user doesn’t have to click on it. It may be a function not only of the appropriate code, but also of your player.swf. Anyway, I hope this makes sense! Would like to add my name to the list of people asking if we can get the ability to blur text or blur selected part of video. Also, when uploading videos to YouTube, option to set Privacy as Unlisted rather than just a choice between Public and Private. Would be great to be able to choose an aspect ratio when resizing the canvas. Something similar to the crop features of programs like iPhoto and Aperture. Otherwise I find myself having to find aspect ratio calculators. One thing that could be added in the meantime is the ability to at least lock the aspect ratio by pressing shift or using grabbing the frame by the corner. Will their be a feature that will enable us to see what we are recording while we are using screen flow? its because sometimes if im using to do a un boxing i seem to have it half on cam and half outside the area, would be a nice feature, and it would be cool if you could remove it when you edit the video. One thing that I think could make screencasters’ lives easier would be the ability to spread a video action across two pieces of cropped footage. If I have a lot of cropping to do (editing out visual bugs, piecing together clips from different screen recordings, long intervals), then it makes it much more difficult to add zooming for videos, let’s say, for iPhone or iPad, where zooming is a must have. – but not the crude way other programs do it, by following your mouse position. No. Instead, it looks ahead in the recording and makes very smart and intuitive choices for you. You can see where it’s changes are in the timeline, and can delete each, after the fact, by selecting and deleting just that SmartFocus event ‘leaving those before and after it – thus extending the previous SmartFocus event till the next one is reached. And to change the zoom or canvas area, all you need do is reach into the canvas, click and drag to a new position, and that SmartFocus event is changed – or use the inspector to change the zoom. I can’t tell you what a time saver SmartFocus has been for me, since I make (on average) at least two screen recordings a day – often many more. I hate everything else about Camtasia – but lately I’ve been using it, just for this feature alone. Add something like SmartFocus (Telecast are you listening?) and no one will want Camtasia, I guarantee it – because then Screenflow will have it all. Well, until FCP X adds these features (along with screen capture features like yours) to it’s impressive pallet that is.. Though I’m not holding my breath for that one. Just downloaded 3.0… Really sad to see that there is still no pan tool! Or am I missing something? Especially with the new drawing tools in Screenflow, this tool is a 100% must have to get accurate freehand callouts in places other than the center of the canvas. It would be great to have some sort of ruler/guide system on x & y axis. And a way to render only specific parts of the timeline. Thanks for submitting your requests. 1) the Ruler system on the X Y axis: If I’m understanding correctly, this would allow you know exactly where you are placing items (for example) on your canvas. We do have the X Y position coordinates that show up in the Video Properties box which may help with this. But what you’re asking for is a more graphical way of seeing this, correct? Batch exporting please. That’s all. -possibility to export selected regions of a screencasts. I couldn’t find a way to automate chapters export. This would be a great feature ! You can create chapters in your screencast by using Markers. When you export, select the box “Add Chapter Track from Markers” on the main export screen, and that will export your video with chapters. Also, it is possible to export just a selected range of your screencast by adding IN and OUT points (put your scrubber at the beginning of your range, and hit the shortcut key “i”. Then move your scrubber to the end of your desired range and hit the shortcut key “o”). Then choose File>Export Selected Range. I think something that would be amazing for all people here and all suggestions here is a screenflow API. To almost give the users something to work on and thus we can improve screenflow as a community! I know a lot of coders who would love this and if we all work together we can make screen flow so much more powerful that it is right now! Screenflow, to me, is the MOST user friendly video editing software out there but without the ability to add code and programme in additional features it will fall behind other video and graphics editors like tooll for instance. Personally I love ScreenFlow and I know that ScreenFlow is extremely powerful! But the ability to code and add macros will make it so much more useful. You will even be able to code templates then and mass edit audio files. I would suggest a API a bit like Microsoft’s VBA. With 2 hierarchies. 1 for timeline and 1 for layout. Equally you can have this all hidden in an “advanced developers” tab to keep screen flow looking super user-friendly for those who want it for family use! Ability to save video or audio effect presets, globally so you can use them across different projects. I know you can already copy and paste them from one clip to another so I’m guessing the feature is really almost there, we just need a way of saving, recalling the settings. This would be a huge time saver. I currently have to open a previous project (wait for media to load etc) just to access settings that I’d used before. Audio Effect presets visual interface. It’s great that you guys support 3rd party audio effects and I understand that loading the visual user interface for these AU effects may increase processor & graphic card use, but some effects like graphic analysers for example don’t really benefit from the default slider interface. Also some third party AU effects look and feel monstrous without their graphic interface. You end up with 40-70 sliders with text labels where you obviously have the functionality but non of the visual feedback an editor is used to when working with effects. And you have to scroll and hunt down the slider for the setting you use. When stopping a new screen recording, in the “Recording Complete” dialog box that gets displayed it would nice to be able to name the clip right then and there, instead of getting a generic, nondescript “Screen Recording mm/dd/yy” clip name in the Media Library. I think it’s time to take a closer look at Screenflow video effects. Some effects like the Photo Effects are great but have no user adjustable parameters. At the very least an effect strength slider would be handy. Maybe it’s time to open up the video effects to third party developer. Just like the audio effects, it would be a huge advantage to users if we had Video Plugin Packs. Alternatively, you might consider hiring talented video producers to use current Screenflow effects and create Preset Packs. For average Screenflow users, who might not have video production expertise, figuring out how to design specific styles or looks can be daunting. Please add a Safe Area function in ScreenFlow. It exists in many other video editing software. Thank you. The ability to cut source clips in the media library. ie. I have a source clip that is 5 minutes long but only want to use 10 seconds. This makes my .screenflow file giant if there are too many long source files. I have tried simply cutting each clip in screenflow individually, exporting, then re-adding to the desired project… this reduces the quality of the video and is not a solution. When scaling/zooming in or out superimposed titles over images, especially at slow speeds, how can we prevent the jittery or “chunky” or uneven motion (or what we call “Chunka-chunka”?) It makes our otherwise very professional edits look…well…amateurish. Please advise. I was told add an outline of change fonts (Seriously!) to avoid serifs. C’mon. These are cheesy workarounds that don’t work for a problem you guys really should just fix. Also, we need the ability to increase and decrease volume levels. Lastly, we need a more sophisticated ability to taper or ease in/out object moves. I LOVE your product. It’s a great editing program. But these issues (especially that text “bump” are really creating issues, and the reason I don’t tech using Screenflow in my college classes. We would like to see the ability to increase playback speed during the editing stage so that we can review the video before exporting without having to proof it at regular speed. Often we just want to give it a “final review,” and this would be great to do it at 1.5X or 2X speeds. Thanks!